125 Canadians have played in Major League Baseball affiliated minor league systems during the 2009 season, plus 42 in independent ball and nine in a foreign leagues. C Luke Carlin, Aylmer, Que. (.321 average, seven home runs, 35 RBIs) Triple-A Reno Aces. INF David Cooper, Edmonton, Alta. (.222, 0, 26) Single-A Visailia Rawhide. RHP Jordan Meaker, Burlington, Ont. (4-1 won-loss record, 5.58 earned run average) Single-A South Bend Silver Hawks. INF David Narodowski, Vancouver, BC (.239, 7, 22) Rookie-Class Missoula Osprey. LHP Scott Diamond, Guelph, Ont. (5-10, 3.50) Double-A Mississippi Braves. RHP David Francis, Mississauga, Ont. (5-7, 3.67, three saves) Single-A Rome Braves; (0-0, 7.02) Single-A Myrtle Beach Pelicans. RHP John Mariotti, Toronto, Ont. (2-9, 3.72) Double-A Bowie Baysox; (1-2, 4.37) Single-A Frederick Keys. RHP Dave McKae, Edmonton, Alta. (2-6, 4.32) Single-A Salem Red Sox. RHP John Blackey, Squamish, BC ; (2-0, 2.08, six saves) Single-A Salem Red Sox; (1-1, 7.15, three saves) Single-A Greenville Drive; (1-0, 1.13, one save) Rookie-class Gulf Coast Red Sox. W-C Chris Robinson, Dorchester, Ont. (.323, 2, 48) Triple-A Iowa Cubs. W-RHP Vince Perkins, Victoria, BC (6-2, 3.48, two saves) Triple-A Iowa Cubs: (1-0, 0.00, one save) Double-A Tennessee Smokies. OF James Adduci, Burnaby, BC (.299, 4, 51) Double-A Tennessee Smokies. OF Robert Wagner, Port Coquitlam, B.C. (.265, 5, 25) Single-A Boise Hawks; (.339, 3 , 11) Rookie Class Arizona League Cubs. INF Wes Darvil, Langley, B.C. (.223, 0, 15) Rookie-Class Arizona League Cubs. W-C Cole Armstrong, Surrey, BC (.252, 10, 32) Triple-A Charlotte Knights. RHP Henry Mabee, Victoria, BC (2-2, 3.34, one save) Double-A Birmingham Barons; (4-1, 3.06, eight saves) Single-A Winston Salem Dash. RHP Ryan Braun, Kitchener, Ont. (0-0, 0.00) Single-A Kannapolis Intimidators; (1-0, 0.90) Rookie-Class Bristol Sox. * 1B Joey Votto, Etobicoke, Ont. (.429, 1, 3) Single-A Dayton Dragons; (.000, 0, 0) Single-A Sarasota Reds. RHP James Avery, Moose Jaw, Sask. (2-3, 3.12) Double-A Carolina Mudcats. LHP Philippe Alexandre Valiquette, St. Laurent, Que. (1-1, 2.76, three saves) Double-A Carolina Mudcats; (1-1, 2.29, six saves) Single-A Sarasota Reds. C Jordan Wideman, Mississauga, Ont. (.250, 0, 3) Single-A Sarasota Reds; (.178, 0, 6) Single-A Dayton Dragons. RHP Mark James, Whitby, Ont. (1-7, 5.10, two saves) Single-A Dayton Dragons. RHP Jason Braun, Matsqui, BC (1-3 5.25) Rookie-Class Billings Mustangs. RHP Evan Hildenbrandt, Abbotsford, B.C. (0-0, 0.00) Rookie-Class Billings Mustangs. OF Josh Garton, Guelph, Ont. (.210, 2, 7) Rookie-Class Billings Mustangs. OF Carter Morrison, New Westminster, B.C. (.206, 0, 16) Rookie-Class, Gulf Coast Reds. RHP Mike Henry, Sarnia, Ont. (0-1, 7.36) Rookie-Class Billings Mustangs; (1-1, 3.71) Rookie-Class Gulf Coast Reds. LHP Mitch Clarke Kitchener, Ont. (1-1, 3.77) Rookie-Class Gulf Coast Reds. * W-LHP R.J. Swindle, Vancouver, B.C. (1-0, 4.05) Triple-A Columbus Clippers, (3-1, 1.03, two saves) Triple A Nashville Sounds. OF Nick Weglarz, Stevensville, Ont. (.227, 16, 65) Double-A Akron Aeros. C Lars Davis, Grande Prairie, Alta. (.232, 1, 34) Single-A Modesto Nuts. INF Jeremiah Sammy, Markham, Ont. (.316, 3, 20) Single-A Tri City Dust Devils. C Max St. Pierre, Pintendre, Que. (.224, 2, 6) Double-A Erie SeaWolves; (.248, 6, 16) Triple-A Toledo Mud Hens. INF Cale Iorg, Toronto, Ont., (.224, 11, 41) Double-A Erie SeaWolves. INF Mike Gosse, Pitt Meadows, BC (313, 1, 3) Triple-A Toledo Mud Hens; (.263, 1, 28) Single-A Western Michigan Whitecaps; (.243, 1, 12) Single-A Lakeland Flying Tigers. INF Jordan Lennerton, Langley, BC (.282, 12, 71) Single-A West Michigan Whitecaps. * LHP David Davidson, Thorold, Ont. (0-0, 2.53) Triple-A New Orleans Pelicans; (0-0, 0.00) Triple-A Norfolk Tides; (0-1, 4.15) Triple-A Indianapolis. * RHP Chris Leroux, Mississauga, Ont. (5-3, 2.79, two saves) Double-A Jacksonville Suns. W-INF Terrence Dayleg, Surrey, B.C. (.269, 1, 19) Rookie-Class Gulf Coast Marlins; (.167, 0, 0) Single-A Greensboro Grasshoppers. RHP T.J. Burton, Ottawa, Ont., (0-3, 4.59, 12 saves) Double-A Corpus Christi Hooks; (0-1, 6.06) Triple-A Round Rock Express. W-OF Jimmy VanOstrand, Richmond, BC (.283, 15, 71) Double-A Corpus Christi Hooks. OF-3B Scott Thorman, Cambridge, Ont. (.299, 19, 63) Triple-A Omaha Royals: (.188, 1, 4) Triple-A Oklahoma City RedHawks. C John Suomi, Etobicoke, Ont. (.145, 1, 6) Triple-A Omaha Royals; (.311, 7, 19) Double-A Northwest Arkansas Naturals. W-RHP Matt Kniginyzky, Mississauga, Ont. (5-10, 5.48) Double-A Northwest Arkansas Naturals. W-OF Tim Smith, Toronto, Ont. (.333, 1, 2) Rookie-Class, Arizona League Rangers; (.309, 3, 32) Double-A Frisco Roughriders; (.333, 4, 19) Single-A Bakersfield Blaze. RHP Mitch Hodge, Vancouver, B.C. (0-2, 3.94, two saves) Rookie-Class Idaho Falls Chukkars. OF Terrell Alliman, Waterloo, Ont. (.306, 0, 24) Rookie-Class Orem Owls. X-OF Marcel Champagnie, Bolton, Ont. (.095, 0, 1) Rookie- Class, Orem Owls. INF Kyle Orr, Victoria, B.C. (.222, 3, 26) Rookie-Class Ogden Raptors. 3B Jeff Hunt, Cambridge, Ont. (.172, 0, 2) Rookie-Class Arizona League Dodgers. RHP John Axford, Port Dover, Ont. (5-0, 3.55) Triple-A Nashville Sounds; (0-0, 3.52, one save) Double-A Huntsville Stars; (4-1, 1.63) Single-A Brevard County Manatees. W-OF Adam Stern, London, Ont. (.310, 1, 8) Triple-A Nashville Sounds; (.280, 3, 32) Double-A Huntsville Stars. INF Taylor Green, Comox, BC (.258, 5, 43) Double-A Huntsville Stars; (.400, 1, 5) Single-A Wisconsin Timber Rattlers. W-RHP James Henderson, Calgary, Alta. (1-0, 2.57) Double-A Huntsville Stars; (3-0, 2.76, four saves) Single-A Brevard County Manatees; (0-0, 1.07, 17 saves) Single-A Wisconsin Timber Rattlers. W-2B Brett Lawrie, Langley, BC (.269, 0, 0) Double-A Huntsville Stars; (.268, 11, 59) Single-A Wisconsin Timber Rattlers. INF Brock Kjeldgaard, London, Ont. (.250, 20, 74) Single-A Wisconsin Timber Rattlers. RHP Alexandre Periard, St. Eustache, Que. (3-2, 5.23) Single-A Brevard County Manatees; (0-0, 3.18) Single-A Wisconsin Timber Rattlers. INF Kyle Dhanani, White Rock, B.C. (.169, 0, 5) Single-A Wisconsin Timber Rattlers; (.267, 0, 15) Rookie-Class Helena Brewers. W-RHP Nick Bucci, Sarnia, Ont., (6-3, 4.41) Rookie-Class Helena Brewers; (1-0, 6.75) Double-A Huntsville Stars. RHP Kris Dabrowiecki, Toronto, Ont. (0-3, 3.14, three saves) Rookie-Class Helena Brewers; (0-1, 15.95) Single-A Wisconsin Timber Rattlers. 3B Joey Paciorek, Maple RIdge, BC (.234, 3, 28) Rookie-Class Helena Brewers. X-RHP Ivan Rusova, Toronto, Ont. (0-0, 27.00) Rookie-Class Helena Brewers..
OF Chad Stang, Surrey, B.C. (.240, 1, 18) Rookie-Class Helena Brewers. R-OF Chris Dennis, Amherstburg, Ont. (.167, 0, 1) Rookie-Class Arizona League Brewers; (.318, 4, 18) Single-A Wisconsin Timber Rattlers. RHP Stosh Wawrzasek, Langley, B.C. (3-1, 3.71, one save) Rookie-Class, Arizona League Brewers. RHP Travis Nevakshonoff, Castlegar, B.C. (0-0, 0.00) Rookie-Class, Arizona League Brewers. * RHP Jesse Crain, Toronto, Ont. (1-0, 2.55, one save) Triple-A Rochester Red Wings. W-OF Rene Tosoni, Coquitlam, BC (.271, 15, 71) Double-A New Britain Rock Cats. INF Jonathan Waltenbury, Whitby, Ont. (.236, 5, 38) Single-A Beloit Snappers. C Mike Nickeas, Vancouver, BC (.182, 0, 7) Double-A Binghamton Mets; (.000, 0, 0) Triple-A Buffalo Bisons. W-INF Jonathan Malo, Laval, Que. (.245, 1, 28) Double-A Binghamton Mets; (.186, 0, 3) Triple-A Buffalo Bisons. W-INF Shawn Bowman, Coquitlam, BC (.294, 9, 44) Double-A Binghamton Mets. INF Emmanuel Garcia, Montreal, Que. (.246, 4, 40) Double-A Binghamton Mets. C Jean-Luc Blaquiere, Legardeur, Que. (.238, 5, 21) Single-A Savannah Sand Gnats. RHP Guillaume Leduc, Boucherville, Que. (2-2, 5.48, two saves) Rookie-Class Kingsport Mets. 1B Mitch Delaney, Lasalle, Ont. (.180, 3, 15) Rookie-Class Gulf Coast Yankees. W-RHP Jamie Richmond, Mississauga, Ont. (2-0, 5.40, one save) Single-A Stockton Ports; (4-3, 2.70, four saves) Single-A, Kane County Cougars. RHP Mathieu Poirier, Laval, Que. (5-7, 4.17) Single-A Kane County Cougars; (0-3, 5.44) Single-A Stockton Ports. OF Royce Consigli, Welland, Ont. (.202, 0, 13) Rookie-Class Arizona League Athletics. X-RHP Steve Green, Longueuil, Que. (0-1, 9.64) Triple-A Lehigh Valley Iron Pigs. RHP Scott Mathieson,Aldergrove, B.C. (2-0, 1.40, one save) Double-A Reading Phillies (0-0, 0.00, one save) Single-A Clearwater Threshers; (2-0, 0.00) Rookie-Class Gulf Coast Phillies. W-RHP Chris Kissock, Fruitvale, BC (3-5, 3.98) Single-A Clearwater Threshers. RHP Steven Inch, Edmonton, Alta., (0-1, 27.00) Rookie-Class Gulf Coast Phillies. INF Chris Barnwell, Shelburne, N.S. (.195, 2, 15) Triple-A Indianapolis Indians..
W-RHP Dustin Molleken, Regina, Sask. (1-1, 4.62, one save) Double-A Altoona Curve; (3-1, 3.48, one save) Single-A Lynchburg Hillcats. OF Jamie Romak, London, Ont. (.213, 3, 14) Single-A Lynchburg Hillcats (.177, 5, 24) Double-A Altoona Curve. RHP Tom Boleska, Burlington, Ont. (1-1, 1.60) Single-A Lynchburg Hillcats; (0-0, 1.50) Rookie-Class Gulf Coast Pirates. RHP Chris Cullen, Tecumseh, Ont. (4-4, 4.82, two saves) Single-A Lynchburg Hillcats. C Josue Peley, Montreal, Que. (.188, 0, 24) Single-A West Virginia Power. INF Walker Gourlay, Peterborough, Ont. (.220, 0, 2) Rookie-Class Gulf Coast Pirates. * RHP Blake Hawksworth, North Vancouver, BC (5-4, 3.58) Triple-A Memphis Redbirds. RHP David Kington, Coquitlam, B.C. (2-1, 3.31, eight saves) Rookie-Class Johnson City Cardinals. X-RHP Derek McDaid, Barrie, Ont. (0-2, 7.08) Double-A San Antonio Missions. SS Chris Tremblay, Montreal, Que. ( .227, 0, 7) Single-A Eugene Emeralds; (.167, 0, 4) Single-A Lake Elsinore Storm. W X-RHP Brooks McNiven, Vernon, BC (1-4, 4.84) Double-A Connecticut Defenders. INF Skylar Stromsmoe, Etzikom, Alta. (.000, 0, 0) Triple-A Fresno Grizzlies; (.267, 2, 15) Single-A Salem-Keizer Volcanoes; (.270, 0, 1) Single-A San Jose Giants. C Joel Collins, Richmond Hill, Ont. ( 333, 0, 1) Single-A Augusta Greenjackets; (.179, 0, 1) Single-A Lynchburg Hillcats. INF Leonardo Ochoa, St. Amable, Que. (.288, 1, 15) Rookie-Class Arizona League Giants. * OF Michael Saunders, Victoria, B.C. (.310, 13, 32) Triple-A Tacoma Rainiers. RHP Phillippe Aumont, Gatineau, Que. (1-4, 5.09, three saves) Double-A West Tennessee Diamond Jaxx; (1-2, 3.24, 12 saves) Single-A High Desert Mavericks. X-RHP Aaron Cotter, Kitimat, BC (0-1, 7.08, one save) Double-A West Tennessee Diamond Jaxx. OF Tyson Gillies, Langley, BC (.341, 9, 42) Single-A High Desert Mavericks. LHP Jon Hesketh, Langley, B.C. (1-0, 1.67) Single-A Everett AquaSox; (1-1, 13.50) Single-A Clinton LumberKings; (2-0, 2.64) Rookie-Class Arizona League Mariners. INF Kevin Mailloux, Tecumseh, Ont. (.286, 0, 2) Single-A Everett AquaSox; (.318, 5, 35) Rookie-Class Arizona League Mariners. RHP Colin Buckborough, Niagara Falls, Ont. (2-0, 8.38, one save) Rookie-Class Pulaski Mariners. RHP Jeff Zimmerman, Kelowna, B.C. (0-0, 4.50) Rookie-Class Arizona League Mariners. RHP Kyle Haas, Pitt Meadows, B.C. (1-0, 4.05) Rookie-Class Pulaski Mariners; (0-1, 1.23) Rookie Class, Arizona League Mariners. RHP Brad Furdal, Ancaster, Ont. (1-5, 3.86, one save) Rookie-Class Gulf Coast Rays. W-INF Emerson Frostad, Calgary, Alta. (.226, 1, 20) Triple-A Oklahoma City RedHawks; (.295, 3, 8) Double-A Frisco Roughriders. * RHP Scott Richmond, North Vancouver, B.C. (0-1, 1.69) Triple-A Las Vegas 51’s; (0-0, 8.10) Rookie-Class Gulf Coast Blue Jays. INF Scott Campbell, Vancouver, BC (.269, 3, 19) Double-A New Hampshire Fisher Cats. (.500, 0, 3) Single-A Dunedin Blue Jays; (.229, 0, 6) Triple-A Las Vegas 51s. RHP Leon Boyd, Vancouver, BC (1-5, 5.47, six saves) Double-A New Hampshire Fisher Cats; (0-1, 1.54) Single-A Dunedin Blue Jays. W X-LHP Bryan Dumesnil, Nanaimo, BC (0-0, 0.00) Double-A New Hampshire Fisher Cats; (1-7, 4.41, two saves) Double-A Mississippi Braves. W-RHP Trystan Magnuson, Vancouver, BC (1-0, 0.00) Double-A New Hampshire Fisher Cats; (4-1, 2.77, one save) Single-A Dunedin Blue Jays. W-1B-OF Adam Loewen, Surrey, BC (.236, 4, 31) Single-A Dunedin Blue Jays. OF Brad McElroy, St. Thomas, Ont. (.269, 3, 21) SIngle-A Dunedin Blue Jays; (.167, 0, 0) Rookie-Class Gulf Coast Blue Jays. X-OF Jonathan Baksh, Mississauga, Ont. (.125, 0, 1) Single-A Dunedin Blue Jays. OF Chris Emanuele, Mississauga, Ont. (.275, 5, 25) SIngle-A Lansing Lugnuts; (.197, 4, 12) Single-A Dunedin Blue Jays. INF Randy Schwartz, King City, Ont. (.265, 4, 8) Single-A Auburn Doubledays. RHP Jamie Lehman, Brampton, Ont. (1-2, 6.67) Single-A Auburn Doubledays; (0-0, 12.15, one save) single-A Potomac Nationals. INF Kyle Gilligan, Etobicoke, Ont. (.232, 0, 6) Single-A Auburn Doubledays. INF Joanathan Fernandez, Toronto, Ont. (.192, 0, 4) Rookie-Class Gulf Coast Blue Jays; (.217, 0, 3) Single-A Auburn Doubledays. OF Michael Crouse, Port Moody, B.C. (.218, 2, 17) Rookie-Class Gulf Coast Blue Jays. INF Kevin Denis-Fortier, Quebec City, Que. (.187, 0, 4) Rookie- Class Gulf Coast Blue Jays. * INF Peter Orr, Richmond Hill, Ont. (.245, 9, 50) Triple-A Syracuse Chiefs. LHP Jason Ermers, Welland, Ont., (6-0, 1.25) Athletics Attnang-Puchheim. 1B Chris Piano, Hamilton, Ont. (.411, 3, 32) Union Kufstein Viking. RHP Marek Deska, Mississauga, Ont. (0-1, 0.00) MediaMonks RCH! C-DH Matt McGraw, Burlington, Ont. (.273, 0, 24) DOOR Neptunus – Rotterdam. 1B-RHP Ryan Murphy, Edmonton, Alta. (.312, 2, 30; 10-2, 0.89) Konica Minolta Pioniers – Hoofddorp. OF Paul Macaluso, Toronto, Ont. (.246, 3, 19) Palfinger Reggio Emilia. C Matt Stocco, Guelph, Ont. (.270, 3, 25) Fortitudo Bologna. OF Aaron Guiel, Langley, BC (.267, 27, 80) Yakult Swallows. X-C Pete LaForest, Hull, Que. (.250, 3, 6) Veracruz Rojos del Aguila. X-RHP Mike Johnson, Edmonton, Alberta (2-2, 4.57) La New Bears. RHP Aaron Cotter, Kitimat, B.C. (4-1, 3.21, nine saves) Sioux Falls Canaries. LHP Adam Daniels, Vancouver, BC (7-4, 2.98) Lincoln Saltdogs. X-OF Ben Van Iderstine, Regina, Sask. (.236, 0, 1) Sioux Falls Canaries. INF Anthony Granato, Toronto, Ont. (.249, 7, 45) Somerset Patriots. INF Matt Rogelstad, Coquitlam, BC (.281, 7, 39) York Revolution. OF Sebastian Boucher, Ottawa, Ont. (.227, 1, 28) Quebec Capitales. C Patrick D’Aoust, Montreal. Que. (.265, 1, 14) Quebec Capitales. INF Patrick Deschenes, Quebec City, Que. (.270, 5, 51) Quebec Capitales. W-LHP Bryan Dumesnil, Nanaimo, B.C. ( 0-0, 5.40) Quebec Capitales. RHP Eric Gagne, Mascouche, Que. (6-6, 4.65) Quebec Capitales. RHP Karl Gelinas, Iberville, Que. (4-2, 4.43) Quebec Capitales. X-INF Issael Gonzalez, Montreal, Que. (.136, 1, 6) Quebec Capitales. C-DH Pete LaForest, Hull, Que. (.277, 24, 82) Quebec Capitales. X-INF Eddie, Lantigua, Quebec City, Que. (.261, 11, 49) Quebec Capitales. RHP Derek McDaid, Barrie, Ont. (4-0, 1.51, six saves) Quebec Capitales. INF Ivan Naccarata, Longuieul, Quebec (.297, 6, 54) Quebec Capitales. DH/INF Pat Scalabrini, Waterville, Que. (.375, 1, 5) Quebec Capitales. RHP Michel Simard, Charlesbourg, Que. (9-6, 4.16) Quebec Capitales. X-OF Doug Toro, Greenfield Park, Que. (.233, 0, 12) Quebec Capitales. LHP Aaron Wideman, Mississauga, Ont. (10-1, 2.51) New Jersey Jackals. X-RHP Adam Arnold, London, Ont. (1-0, 18.00) Kalamazoo Kings. RHP Mike Damchuk, Corunna, Ont. (5-4, 2.63, six saves) Southern Illinois Miners. RHP Scott Kelly, Belleville, Ont. (1-1, 6.85) Gateway Grizzlies. X-DH-INF Justin Randall, Sarnia, Ont. (.149, 0, 4) Southern Illinois Miners; (.167, 0, 1) Evansville Otters. X-RHP Jordan Tiegs, Woodstock, Ont. (0-2, 8.00) Evansville Otters. X-RHP Tanner Watson, Arnpriorm Ont. (4-3, 3.69) Rockford RIvercats. LHP Graham Campbell, Victoria, BC (1-1, 7.36) Victoria Seals. INF Aaron Hornostaj, Waterloo, Ont. (.280, 5, 43) Edmonton Capitals. RHP Michael Johnson, Edmonton, Alta. (2-4, 8.34) Edmonton Capitals. OF Drew Miller, Medicine Hat, Alta. (.364, 11, 56) Calgary Vipers. OF Colin Moro, Calgary, Alta. (.376, 8, 65) Calgary Vipers. INF Dillon O’Krane, Langley, B.C. (.275, 2, 16) Calgary Vipers. RHP Lou Pote, Sherwood Park, Alta. (9-3, 3.98) Edmonton Capitals. INF Mac Poulin, St. Eustache, Que. (.262, 0, 16) Edmonton Capitals. X-INF Rob Recuenco, Vancouver, BC (.167, 0, 5) Calgay Vipers. RHP Reggie Rivard, Bonnyville, Alta. (3-3, 5.62) Calgary Vipers. RHP Phil Sobkow, Calder, Sask. (0-0, 5.24) Victoria Seals. RHP Dustin Bolton, Calgary, Alta. (7-5, 4.84) Kansas City T’Bones. X-INF Matt Calcagni, Brampton, Ont. (.000, 0, 0) Schaumburg Flyers. INF Jeff Helps, Wyoming, Ont. (.253, 0, 12) Kansas City T’Bones. *-Player has been, or is currently with the parent Major League team. R-Player is Injured, on Rehab Assignment, or on the Disabled List. X-Player has been released, traded or retired. W-Named to Team Canada World Cup roster. As usual, minimum 10 AB’s were required to make the List. Aug. 31st — Named IND Can Am League Batter of the Week. It was the third time he’s won the weekly award in 2009, plus he was batter of the Month for July. Sept. 4th — Named to IND Can Am League First All Star Team, as the starting catcher. Sept. 5th — In a win over New Jersey Jackals, he hit three home runs which tied a Can Am League record, and drove in five runs. Sept. 7th — Named IND Can Am League Player of the Year, an award voted on by the league’s six managers. Week 1 — Tim Smith, Toronto, Ont. Single-A Bakersfield (Rangers). Week 2 — Adam Stern, London, Ont., Double-A Huntsville (Brewers). Week 3 — OF Rene Tosoni, Coquitlam, BC, Double-A New Britain (Twins). Week 4 — RHP Phillippe Aumont, Gatineau, Que. Single-A High Desert Mavericks (Mariners). Week 5 — OF Chris Dennis, Amherstburg, Ont. Single-A Wisconsin (Brewers). Week 6 — C Cole Armstrong, Surrey, B.C., Triple-A Charlotte (White Sox). Week 7 — LF Scott Thorman, Cambridge, Ont. Triple-A Omaha (Royals). Week 8 — RF James Adduci, Burnaby, B.C. Double-A Tennessee (Cubs). Week 9 — CF Emmanuel Garcia, Montreal, Que., Double-A Binghamton (Mets). Week 10 — Tim Smith, Toronto, Ont. Single-A Frisco (Rangers). Week 11 — C Cole Armstrong, Surrey, BC, Triple-A Charlotte (White Sox). Week 12 — Terrell Alliman, Waterloo, Ont., Rookie-class Orem (Angels). Week 13 — RHP Nick Bucci, Sarnia, Ont., Rookie-Class Helena (Brewers). Week 14 — OF Tyson Gillies, Langley, BC, Single-A High Desert (Mariners). Week 15 — C Pete Laforest, Hull, Que. Quebec City, Can-Am League (IND). Week 16 — C Chris Robinson, Dorchester, Ont., Triple-A Iowa (Cubs). Week 17 — C Max St. Pierre, Pintendre, Que.Triple-A Buiffalo (Mets). Week 18 — INF Jerimiah Sammy, Markham, Ont. Class-A Tri City (Rockies). Week 19 — RP Chris Leroux, Mississauga, Ont. Double-A Jacksonville (Marlins). Week 20 — LF Scott Thorman, Cambridge, Ont. Triple-A Omaha (Royals). Week 21 — RHP Jason Blackey, Squamish, BC Single-A Salem Red Sox (Red Sox). Week 22 — 1B INF Brock Kjeldgaard, London, Ont., Single-A Wisconsin Timber Rattlers. Week 23 — OF Aaron Guiel, Langley, BC, Yakult Swallows. .341 OF Tyson GILLIES (Mariners), Langley, B.C. – Single-A High Desert Mavericks. .323 C Chris ROBINSON (Cubs), Dorchester, Ont. – Triple-A Iowa Cubs. .321 OF Tim SMITH (Royals), Toronto, Ont. – Double-A Frisco Roughriders, Single-A Bakersfield Blaze, Rookie-Class Arizona League Rangers. .321 C Luke CARLIN (Diamondbacks), Aylmer, Que. – Triple-A Reno Aces. .316 INF Jeremiah SAMMY (Rockies), Markham, Ont.- Single-A Tri City Dust Devils. .312 OF Chris DENNIS (Brewers), Amherstburg, Ont. – Single-A Wisconsin Timber Rattlers, Rookie-Class Arizona League Brewers. .310 OF Michael SAUNDERS (Mariners), Victoria, B.C. – Triple-A Tacoma Rainiers. .309 INF Kevin MAILLOUX (Mariners), Tecumseh, Ont. – Single-A Everett AquaSox, Rookie Class Arizona League Mariners. .307 OF Terrell ALLIMAN (Angels), Waterloo, Ont. – Rookie-Class Orem Owls. .299 OF James ADDUCI (Cubs), Burnaby, B.C. – Double-A Tennessee Smokies. .294 INF Shawn BOWMAN (Mets), Coquitlam, B.C. – Double-A Binghamton Mets. 104 OF Tyson GILLIES (Mariners), Langley, B.C. – Single-A High Desert Mavericks. 76 OF Adam STERN (Brewers), London, Ont. – Triple-A Nashville Sounds (12), Double-A Huntsville Stars (64). 69 OF Nick WEGLARZ (Indians), Stevensville, Ont. – Double-A Akron Aeros. 66 INF Emmanuel GARCIA (Mets), Montreal, Quebec – Double-A Binghamton Mets. 65 INF Brock KJELDGAARD (Brewers), London, Ont. – Single-A Wisconsin Timber Rattlers. 64 OF Rene TOSONI (Twins), Coquitlam, B.C. – Double-A New Britain Rock Cats. 63 OF James ADDUCI (Cubs), Burnaby, B.C. – Double-A Tennessee Smokies. 58 INF Mike SAUNDERS (Mariners), Victoria, B.C. – Triple-A Tacoma Rainiers. 57 INF Cale IORG (Tigers ), Toronto, Ont., Double-A Erie Sea Wolves. 56 INF Jordan LENNERTON (Tigers), Langley, B.C. – Single-A West Michigan White Caps. 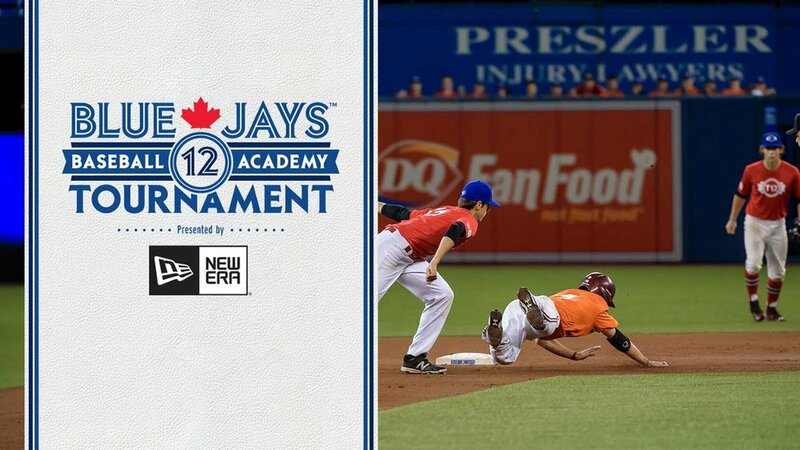 55 INF Chris EMANUELE (Jays), Mississauga, Ont. – Single-A Lansing Lugnuts (43), Single-A Dunedin Blue Jays (12). 54 INF Brett LAWRIE (Brewers), Langley, B.C. – Double-A Huntsville Stars (6), Single-A Wisconsin Timber Rattlers (48). 170 OF Tyson GILLIES (Mariners), Langley, B.C. – Single-A High Desert Mavericks. 140 OF James ADDUCI (Cubs), Burnaby, B.C. – Double-A Tennessee Smokies. 139 OF Adam STERN (Brewers), London, Ont. – Triple-A Nashville Sounds (26), Double-A Huntsville Stars (113). 122 INF Jordan LENNERTON (Tigers), Langley, B.C. – Single-A West Michigan White Caps. 121 INF Emmanuel GARCIA (Mets), Montreal, Que., Double-A Binghamton Mets. 118 INF Brock KJELDGAARD (Brewers), London, Ont. – Single-A Wisconsin Timber Rattlers. 116 INF Brett LAWRIE (Brewers), Langley, B.C. – Double-A Huntsville Stars (14), Single-A Wisconsin Timber Rattlers (102). 115 OF Rene TOSONI (Twins), Coquitlam, B.C. – Double-A New Britain Rock Cats. 115 OF Scott THORMAN (Royals), Cambridge, Ont. – Triple-A Omaha Royals (109), Triple-A Oklahoma City Redhawks (6). 110 INF Cale IORG (Tigers ), Toronto, Ont., Double-A Erie Sea Wolves. 104 OF Jimmy VANOSTRAND (Astros), Richmond, B.C. – Double-A Corpus Christi Hooks. 102 INF Shawn BOWMAN (Mets), Coquitlam, B.C. – Double-A Binghamton Mets. 101 INF Pete ORR (Nationals), Richmond Hill, Ont. – Triple-A Syracuse Chiefs. 100 C Chris ROBINSON (Cubs), Dorchester, Ont. – Triple-A Iowa Cubs. 20 INF Brock KJELDGAARD (Brewers), London, Ont. – Single-A Wisconsin Timber Rattlers. 20 OF Scott THORMAN (Royals), Cambridge, Ont. – Triple-A Omaha Royals (19), Triple-A Oklahoma City Redhawks (1). 16 OF Jimmy VANOSTRAND (Astros), Richmond, B.C. – Double-A Corpus Christi Hooks. 16 OF Nick WEGLARZ (Indians), Stevensville, Ont. – Double-A Akron Aeros. 15 OF Rene TOSONI (Twins), Coquitlam, B.C. – Double-A New Britain Rock Cats. 13 INF Brett LAWRIE (Brewers), Langley, B.C. – Single-A Wisconsin Timber Rattlers (48). 13 INF Mike SAUNDERS (Mariners), Victoria, B.C. – Triple-A Tacoma Rainiers. 12 INF Jordan LENNERTON (Tigers), Langley, B.C. – Single-A West Michigan White Caps. 11 INF Cale IORG (Tigers ), Toronto, Ont., Double-A Erie Sea Wolves. 10 C Cole ARMSTRONG (White Sox), Surrey, B.C. – Triple-A Charlotte Knights. 74 INF Brock KJELDGAARD (Brewers), London, Ont. – Single-A Wisconsin Timber Rattlers. 71 INF Jordan LENNERTON (Tigers), Langley, B.C. – Single-A West Michigan White Caps. 71 OF Rene TOSONI (Twins), Coquitlam, B.C. – Double-A New Britain Rock Cats. 71 OF Jimmy VANOSTRAND (Astros), Richmond, B.C. – Double-A Corpus Christi Hooks. 67 OF Scott THORMAN (Royals), Cambridge, Ont. – Triple-A Omaha Royals (63), Triple-A Oklahoma City Redhawks (4). 65 OF Nick WEGLARZ (Indians), Stevensville, Ont. – Double-A Akron Aeros. 65 INF Brett LAWRIE (Brewers), Langley, B.C. – Single-A Wisconsin Timber Rattlers. 53 OF Tim SMITH (Royals), Toronto, Ont. – Double-A Frisco Roughriders (32) Single-A Bakersfield Blaze (19), Rookie-Class Arizona League Rangers (2). 51 OF James ADDUCI (Cubs), Burnaby, B.C. – Double-A Tennessee Smokies. 50 INF Pete ORR (Nationals), Richmond Hill, Ont. – Triple-A Syracuse Chiefs. 1.43 RHP R.J. SWINDLE (Indians), Vancouver, B.C. – Triple-A Columbus Clippers, (Brewers) Triple-A Nashville Sounds. 1.59 RHP Tom BOLESKA (Pirates), Burlington, Ont. – Single-A Lynchburg Hillcats, Rookie-Class Gulf Coast Pirates..
2.04 RHP James HENDERSON (Brewers), Calgary, Alta. -Double-A Huntsville Stars, Single-A Brevard County Manatees, Single-A Wisconsin Timber Rattlers. 2.39 RHP Trystan MAGNUSON (Jays), Vancouver, B.C. – Double-A New Hampshire Fisher Cats, Single-A Dunedin Blue Jays. 2.58 LHP Phillippe Alexandre VALIQUETTE (Reds), St. Laurent, Que. – Double-A Carolina Mudcats, Single-A Sarasota Reds. 2.70 RHP Chris LEROUX (Marlins), Mississauga, Ont. – Double-A Jacksonville Suns. 2.77 RHP John AXFORD (Brewers), Port Dover, Ont. – Triple-A Nashville Sounds, Double-A Huntsville Stars, Single-A Brevard County Manatees. 2.93 LHP Jon HESKETH (Mariners), Langley, B.C. – Single-A Everett Aquasox, Single-A Clinton Lumberkings, Rookie-Class Arizona League Mariners. 3.02 RHP Vince PERKINS (Cubs), Victoria, B.C. – Triple-A Iowa Cubs, Double-A Tennessee Smokies. 3.12 RHP James AVERY (Reds), Moose Jaw, Sask. – Double-A Carolina Mudcats. 53 RHP Vince PERKINS (Cubs), Victoria, B.C. – Triple-A Iowa Cubs (45), Double-A Tennessee Smokies (8). 47 RHP Chris KISSOCK (Phillies), Fruitvale, B.C. – Single-A Clearwater Threshers. 46 RHP James HENDERSON (Brewers), Calgary, Alta. – Double-A Huntsville Stars (5), Single-A Brevard County Manatees (15), Single-A Wisconsin Timber Rattlers (26). 46 RHP Chris LEROUX (Marlins), Mississauga, Ont. – Double-A Jacksonville Suns. 45 RHP John AXFORD (Brewers), Port Dover, Ont. – Triple-A Nashville Sounds (22), Double-A Huntsville Stars (4), Single-A Brevard County Manatees (19). 44 LHP Phillippe Alexandre VALIQUETTE (Reds), St. Laurent, Que. – Double-A Carolina Mudcats (27), Single-A Sarasota Reds (17). 44 RHP Phillippe AUMONT (Mariners), Gatineau, Que. – Double-A West Tennessee Diamond Jaxx (15), Single-A High Desert Mavericks (29). 44 RHP Leon BOYD (Jays), Vancouver, B.C. – Double-A New Hampshire Fisher Cats (36), Single-A Dunedin Blue Jays (8). 43 RHP Trystan MAGNUSON (Jays), Vancouver, B.C. – Double-A New Hampshire Fisher Cats (5), Single-A Dunedin Blue Jays (38). 41 RHP Henry MABEE (White Sox), Victoria, B.C. – Double-A Birmingham Barons (21), Single-A Winston Salem Dash (20). 41 LHP Bryan DUMESNIL (Braves), Nanaimo, B.C. – Double A Mississippi Braves. 40 RHP Jamie RICHMOND (Athletics), Mississauga, Ont. – Single-A Stockton Ports (14), Single-A Kane County Cougars (26). 134.2 RHP Matt KNIGINYZKY (Royals), Mississauga, Ont. – Double-A Northwest Arkansas Naturals. 131.0 LHP Scott DIAMOND (Braves), Toronto, Ont. – Double-A Mississippi Braves. 116.0 RHP Mathieu LEBLANC-POIRIER (Athletics), Laval, Que. – Single-A Kane County Cougars (69.2), Single-A Stockton Ports (46.1). 105.0 RHP David FRANCIS (Braves), Mississauga, Ont. – Single-A Rome Braves (88.1), Single-A Myrtle Beach Pelicans (16.2). 105.0 RHP John MARIOTTI (Orioles), Toronto, Ont. – Double-A Bowie Baysox ( 82.1), Single-A Frederrick Keys (22.2). 86.1 RHP Vince PERKINS (Cubs), Victoria, B.C. – Triple-A Iowa Cubs (75), Double-A Tennessee Smokies (11.1). 85.1 RHP Dave McKAE (Red Sox), Edmonton, Alta. – Single-A Salem Red Sox. 78.1 RHP Dustin MOLLEKEN (Pirates), Regina, Sask. – Double-A Altoona Curve (41.1), Single-A Lynchburg Hillcats (37.0). 73.1 RHP Nick BUCCI (Brewers), Sarnia, Ont. – Rookie-Class Helena Brewers (69.1), Double-A Huntsville Stars (4.0). 72.1 RHP Chris KISSOCK (Phillies), Fruitvale, B.C. – Single-A Clearwater Threshers. 71.2 RHP Trystan MAGNUSON (Blue Jays), Vancouver, B.C. – Double-A New Hampshire Fisher Cats (10), Single-A Dunedin Blue Jays (61.2). 9 RHP John AXFORD (Brewers), Port Dover, Ont. – Triple-A Nashville Sounds (5), Single-A Brevard County Manatees (4). 7 RHP Vince PERKINS (Cubs), Victoria, B.C. – Triple-A Iowa Cubs (6), Double-A Tennessee Smokies (1). 7 RHP Nick BUCCI (Brewers), Sarnia, Ont. – Rookie-Class Helena Brewers (6), Double-A Huntsville Stars (1). 6 RHP Jamie RICHMOND (Athletics), Mississauga, Ont. – Single-A Stockton Ports (2), Single-A Kane County Cougars (4). 5 RHP Chris LEROUX (Marlins), Mississauga, Ont. – Double-A Jacksonville Suns. 5 RHP Matt KNIGINYZKY (Royals), Mississauga, Ont. – Double-A Northwest Arkansas Naturals. 5 RHP Trystan MAGNUSON (Jays), Vancouver, B.C. – Double-A New Hampshire Fisher Cats (1), Single-A Dunedin Blue Jays (4). 5 RHP David FRANCIS (Braves), Mississauga, Ont. – Single-A Myrtle Beach Pelicans (5). 5 RHP Mathieu LEBLANC-POIRIER (A’s), Laval, Que. – Single-A Kane County Cougars (5). 5 LHP Scott DIAMOND (Braves), Toronto, Ont. – Double-A Mississippi Braves. 5 RHP Blake HAWKSWORTH (Cardinals), Vancouver, B.C. – Triple-A Memphis Redbirds. 21 RHP James HENDERSON (Brewers), Calgary, Alta. – Single-A Brevard County Manatees (4), Single-A Wisconsin Timber Rattlers (17). 12 RHP T.J. BURTON (Astros), Ottawa, Ont. – Double-A Corpus Christi Hooks (12). 10 RHP Jason BLACKEY (Red Sox), Squamish, B.C. – Single-A Salem Red Sox (6), Single-A Greenville Drive (3), Rookie-Class, Gulf Coast League Red Sox (1). 9 RHP Henry MABEE (White Sox), Victoria, B.C. – Double-A Birmingham Barons (1), Single-A Winston Salem Dash (8). 9 LHP Phillippe Alexandre VALIQUETTE (Reds), St. Laurent, Que. – Double-A Carolina Mudcats (3), Single-A Sarasota Reds (6). 8 RHP David KINGTON (Cardinals), Coquitlam, B.C. – Rookie-Class, Johnson City Cardinals. 6 RHP Leon BOYD (Jays), Vancouver, B.C. – Double-A New Hampshire Fisher Cats (6). 5 RHP Vince PERKINS (Cubs), Victoria, B.C. – Triple-A Iowa Cubs (3), Double-A Tennessee Smokies (2). 5 RHP Jamie RICHMOND (Athletics), Mississauga, Ont. – Single-A Stockton Ports (1), Single-A Kane County Cougars (4). .376 OF Colin MORO Calgary Vipers – Golden League, Calgary, Alta. .364 OF Drew MILLER Calgary Vipers – Golden League, Medicine Hat, Alta. .312 1B Ryan MURPHY Holland – Konica Minolta Pioniers, Hoofdorp. Edmonton, Alta. .297 INF Ivan NACCARATA Quebec Captiales – Can Am League. Longueuil, Que. .280 INF Aaron HORNOSTAJ Edmonton Capitals – Golden League. Waterloo, Ont. .280 INF Matt ROGELSTAD York Revolution – Atlantic League. Coquitlam, B.C. .277 C/DH Pete LAFOREST Quebec Capitales – Can Am League. Hull, Que. .275 INF Dillon O’KRANE Calgary Vipers – Golden League, Langley, B.C. .273 C/DH Matt McGRAW Holland – DOOR Neptunus, Rotterdam. Burlington, Ont. .270 INF Pat DESCHENES Quebec Capitales – Can Am League. Quebec City, Que. .270 C Matt STOCCO Italy Series A – Fortitudo Bologna Guelph, Ont. 77 INF Anthony GRANATO Somerset Patriots (6) – Atlantic League, Toronto, Ont..
71 OF Drew MILLER Calgary Vipers – Golden League, Medicine Hat, Alta. 69 C/DH Pete LAFOREST Quebec Capitales – Can Am League. Hull, Que. 62 OF Aaron GUIEL Yakult Swallows – Japanese Central League. Langley, B.C. 61 OF Colin MORO Calgary Vipers – Golden League, Calgary, Alta. 53 INF Ivan NACCARATA Quebec Captiales – Can Am League. Longueuil, Que. 43 INF Aaron HORNOSTAJ Edmonton Capitals – Golden League. Waterloo, Ont. 41 INF Pat DESCHENES Quebec Capitales – Can Am League. Quebec City, Que. 40 OF Sebastian BOUCHER Quebec Capitales – Can Am League, Ottawa, Ont. 109 OF Aaron GUIEL Yakult Swallows – Japanese Central League. Langley, B.C. 103 OF Colin MORO Calgary Vipers – Golden League, Calgary, Alta. 100 OF Drew MILLER Calgary Vipers – Golden League, Medicine Hat, Alta. 97 INF Anthony GRANATO Somerset Patriots – Atlantic League, Toronto, Ont..
94 INF Ivan NACCARATA Quebec Captiales – Can Am League. Longueuil, Que. 94 INF Pat DESCHENES Quebec Capitales – Can Am League. Quebec City, Que. 93 C/DH Pete LAFOREST Quebec Capitales – Can Am League. Hull, Que. 91 INF Matt ROGELSTAD York Revolution – Atlantic League. Coquitlam, B.C. 77 INF Eddie LANTIGUA Quebec Capitales – Can Am League, Quebec City, Que. 27 OF Aaron GUIEL Yakult Swallows – Japanese Central League. Langley, B.C. 24 C/DH Pete LAFOREST Quebec Capitales – Can Am League. Hull, Que. 11 INF Eddie LANTIGUA Quebec Capitales – Can Am League, Quebec City, Que. 11 OF Drew MILLER Calgary Vipers – Golden League, Medicine Hat, Alta. 8 OF Colin MORO Calgary Vipers – Golden League, Calgary, Alta. 7 INF Anthony GRANATO Somerset Patriots – Atlantic League, Toronto, Ont..
7 INF Matt ROGELSTAD York Revolution – Atlantic League. Coquitlam, B.C. 6 INF Ivan NACCARATA Quebec Captiales – Can Am League. Longueuil, Que. 5 INF Pat DESCHENES Quebec Capitales – Can Am League. Quebec City, Que. 5 INF Aaron HORNOSTAJ Edmonton Capitals – Golden League. Waterloo, Ont. 82 C/DH Pete LAFOREST Quebec Capitales – Can Am League. Hull, Que. 80 OF Aaron GUIEL Yakult Swallows – Japanese Central League. Langley, B.C. 65 OF Colin MORO Calgary Vipers – Golden League, Calgary, Alta. 56 OF Drew MILLER Calgary Vipers – Golden League, Medicine Hat, Alta. 54 INF Ivan NACCARATA Quebec Captiales – Can Am League. Longueuil, Que. 51 INF Pat DESCHENES Quebec Capitales – Can Am League. Quebec City, Que. 49 INF Eddie LANTIGUA Quebec Capitales – Can Am League, Quebec City, Que. 46 INF Anthony GRANATO Somerset Patriots – Atlantic League, Toronto, Ont..
0.89 RHP Ryan MURPHY Konica Minolta Pioniers – Hoofdorp, Dutch Premier League. Edmonton, Alta. 1.51 RHP Derek McDAID Quebec Capitales – Can Am League. Barrie, Ont. 2.51 LHP Aaron WIDEMAN New Jersey Jackals – Can Am League. 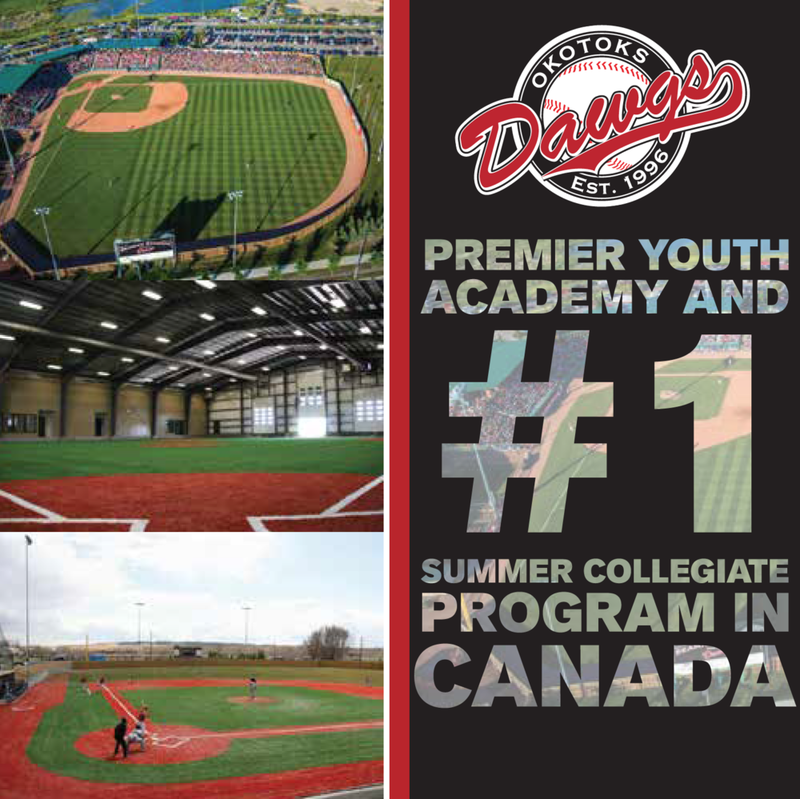 Mississauga, Ont..
2.63 RHP Mike DAMCHUK Southern Illinois Miners – Frontier League. Corunna, Ont. 2.98 RHP Adam DANIELS Lincoln Saltdogs – American Association. Vancouver, B.C. 3.22 RHP Aaron COTTER Sioux Falls Canaries – American Association. Kitimat, B.C. 3.69 RHP Tanner WATSON Rockford RiverHawks – Frontier League. Arnprior, Ont. 3.98 RHP Lou POTE Edmonton Captials – Golden League. Sherwood Park, Alta..
4.16 RHP Michel SIMARD Quebec Capitales – Can Am League, Charlesbourg, Que. 4.29 LHP Fraser ROBINSON Brockton Roxx – Can Am League, Ottawa, Ont. 46 RHP Adam DANIELS Lincoln Saltdogs – American Association. Vancouver, B.C. 34 RHP Derek McDAID Quebec Capitales – Can Am League. Barrie, Ont..
31 LHP Graham CAMPBELL Victoria Seals – Golden League. Victoria, B.C. 30 RHP Scott KELLY Gateway Grizzlies – Frontier League. Belleville, Ont. 29 RHP Mike DAMCHUK Southern Illinois Miners – Frontier League. Corunna, Ont. 29 LHP Kai TUOMI Evansville Otters – Frontier League, Sault Ste. Marie, Ont. 21 RHP Aaron COTTER Sioux Falls Canaries – American Association. Kitimat, B.C. 20 RHP Michel SIMARD Quebec Capitales – Can Am League, Charlesbourg, Que. 20 LHP Fraser ROBINSON Brockton Roxx – Can Am League, Ottawa, Ont. 20 RHP Dustin BOLTON Kansas City T-Bones – Northern League. Calgary, Alta..
125.1 RHP Michel SIMARD Quebec Capitales – Can Am League, Charlesbourg, Que. 114.2 LHP Aaron WIDEMAN New Jersey Jackals – Can Am League. Mississauga, Ont. 113.1 RHP Dustin BOLTON Kansas City T-Bones – Northern League. Calgary, Alta. 110.2 RHP Ryan MURPHY Konica Minolta Pioniers – Hoofdorp, Dutch Premier League. Edmonton, Alta. 108.2 RHP Lou POTE Edmonton Captials – Golden League. Sherwood Park, Alta. 102.2 RHP Eric GAGNE Quebec Capitales – Can Am League, Mascouche, Que. 90.0 LHP Kai TUOMI Evansville Otters – Frontier League. Sault Ste. Marie, Ont. 86.0 LHP Fraser ROBINSON Brockton Roxx – Can Am League, Ottawa, Ont. 61.0 RHP Karl GELINAS Quebec Capitales – Can Am League, Iberville, Que. 61.0 RHP Tanner WATSON Rockford RiverHawks – Frontier League. Arnprior, Ont. 10 LHP Aaron WIDEMAN New Jersey Jackals – Can Am League. Mississauga, Ont. 10 RHP Ryan MURPHY Konica Minolta Pioniers – Hoofdorp, Dutch Premier League. Edmonton, Alta. 9 RHP Michel SIMARD Quebec Capitales – Can Am League, Charlesbourg, Que. 9 RHP Lou POTE Edmonton Captials – Golden League. Sherwood Park, Alta. 7 LHP Fraser ROBINSON Brockton Roxx – Can Am League, Ottawa, Ont..
7 RHP Dustin BOLTON Kansas City T-Bones – Northern League. Calgary, Alta. 7 RHP Adam DANIELS Lincoln Saltdogs – American Association. Vancouver, B.C. 6 RHP Eric GAGNE Quebec Capitales – Can Am League, Mascouche, Que. 6 RHP Mike DAMCHUK Southern Illinois Miners – Frontier League. Corunna, Ont. 9 RHP Aaron COTTER Sioux Falls Canaries – American Association. Kitimat, B.C. 6 RHP Derek McDAID Quebec Capitales – Can Am League.Barrie, Ont. 1 LHP Fraser ROBINSON Brockton Roxx – Can Am League, Ottawa, Ont. Gillies had the most consistent and very best season overall, and the numbers he put on the board speak for themselves. At Single-A level High Desert Mavericks in the California League, Gillies batted .341 in 124 Games, compiling a remarkable 170 Hits in 498 at bats and scoring 104 runs. He also had a total of 40 extra-base hits, 42 RBIs and led his team with 44 stolen bases. Defensively Gillies was outstanding as well, committing only two errors in center field for the entire season. PITCHER OF THE YEAR (tie). Henderson made remarkable progress as a reliever in 2009, moving up from the Single-A Wisconsin Timber Rattlers to Single-A Brevard County Manatees, and finally ending the season with Double-A Huntsville Stars. Totalling 46 appearances, he Won four and saved 21 games, compiling a respectable 2.04 ERA. In 61.2 innings he allowed only 43 hits, and had 51 Strikeouts. A very successful year for Henderson. Axford also progressed well in the Brewers organization in 2009, moving from Brevard County to Huntsville Stars, then on to Triple-A Nashville Sounds. In 45 Minor League Relief Appearances Axford won nine games and saved another, his ERA was a neat 2.77 and in 68.1 Innings he gave up only 44 Hits, with an outstanding total of 89 Strikeouts. His performance was rewarded with a late season call up to the majors with the Brewers, where he became the fourth Canadian to make his debut in 2009. Either one of these two Brewer’s prospects certainly deserves the title, Canadian Minor League Pitcher of the Year. Pete Laforest’s accomplishments include Can Am League Player of the Year and First All Star Team catcher. He led the league in home runs with 24, extra base hits with 47, RBIs with 82 and slugging percentage, plus he was instrumental in helping Quebec win the 2009 League championship. Colin Moro had another outstanding year for the Calgary Vipers, finnishing with a .376 average, compiling 103 hits, 61 runs Scored, eight home runs and 65 RBIs during the regular season. Like Laforest, Moro was also a major contributor in helping Calgary Vipers with the Golden League playoff championship in 2009. Both are deserving of further recognition, based on their outstanding performances. Wideman enjoyed an excellent year with the New Jersey Jackals in the IND Can Am League in 2009, winning 10 games and compiling a very good 2.51 ERA. In 18 starts he pitched 114.2 Innings, giving up only 90 Base hits and striking out 81 hatters. Selected as the League’s Pitcher of the Month in both June and July, he then capped off the season by being picked as the left handed starter on the 2009 Can Am League post-season all-star team. 1. DREW MILLER (Calgary Vipers).